Immerse yourself in the artwork of local and established artists in lively Holt. Bircham Gallery is a contemporary art gallery exhibiting the best of modern art. 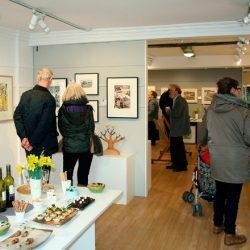 The gallery was originally set up in Great Bircham by Chris and Deborah Harrison in 1988. It soon developed a reputation as a leading independent gallery for contemporary fine art and craft. 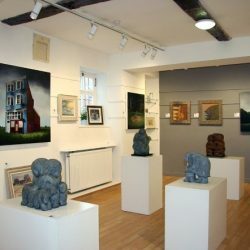 Due to its success, the gallery moved to the bustling market town of Holt. 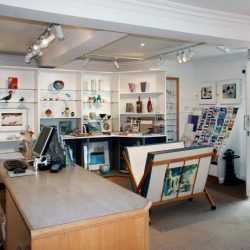 Now situated in a light and spacious Georgian building, Bircham Gallery stocks the work of over 200 artists and craftspeople. The gallery offers the perfect opportunity to discover a collection of unique craft, ideal for art enthusiasts visiting North Norfolk. Gail Stevens, 46 from Fakenham, is a Gallery Manager at Bircham Gallery. She has been a team member since 1998 when the gallery first opened in Holt. 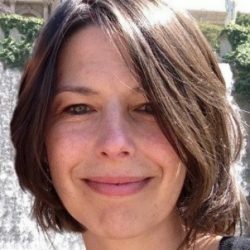 Her role includes everything from sales and marketing to admin. “Bircham Gallery has developed an enviable reputation for exhibiting the best of modern and contemporary British art. Bircham Gallery offers something for all lovers of modern and contemporary art. It provides the chance to get inspired and learn about the different styles of various artists and designers. An array of exhibitions run throughout the year to showcase the work of talented artists and craftspeople. The work caters for all tastes, from abstract to representational. “Over the years, the gallery has presented exhibitions of work by some great and influential artists. These include Ben Nicholson, Henry Moore, John Maltby, Robin Welch and John Piper. Based in a charming setting, Gail recommends the gallery to visitors to the local area. The market town lies just a few miles away from the stunning North Norfolk coastline, which has plenty to offer. 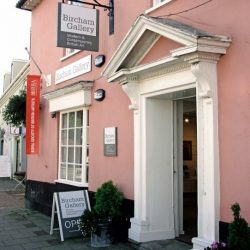 With everything from paintings to designer glass, Bircham Gallery offers various crafts. A wide range of art styles are on display, while a series of changing exhibitions and artists ensure returning visits are equally as fascinating. “The gallery exhibits paintings, sculpture, original prints, jewellery, photographs, ceramics, wood, and designer glass. 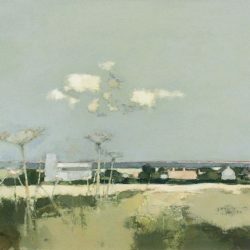 Bircham Gallery’s superb collection includes unique art from East Anglia and beyond. This gives an insight into the craft of local artists, with well-known names also in the mix. “Our focus is divided between encouraging talent among the current generation of emerging artists and showing the work of established artists, with an equal commitment to both. The gallery is free to visit, while art for all budgets is available for purchase at the gallery and online. 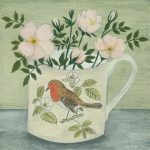 The gallery shop stocks cards, specialist books, magazines and gifts. The gallery is wheelchair friendly, with a ramp and bell ring for assistance at the entrance. Upcoming exhibitions include still-life paintings by Debbie George from April 1st to 26th 2017. Her work is a celebration of her passion for flowers and the objects that she surrounds herself with. 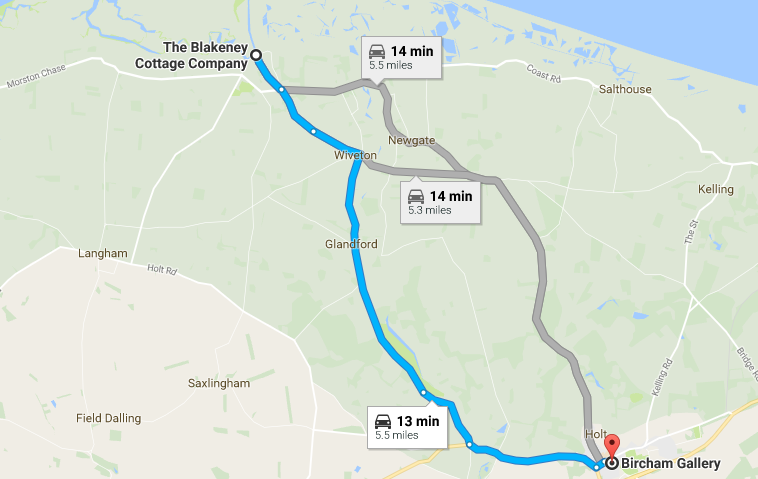 You can find the gallery in the centre of Holt on the A148 between Fakenham and Cromer. Find out more about Bircham Gallery through their website. You can also keep updated through their Facebook and Twitter page.